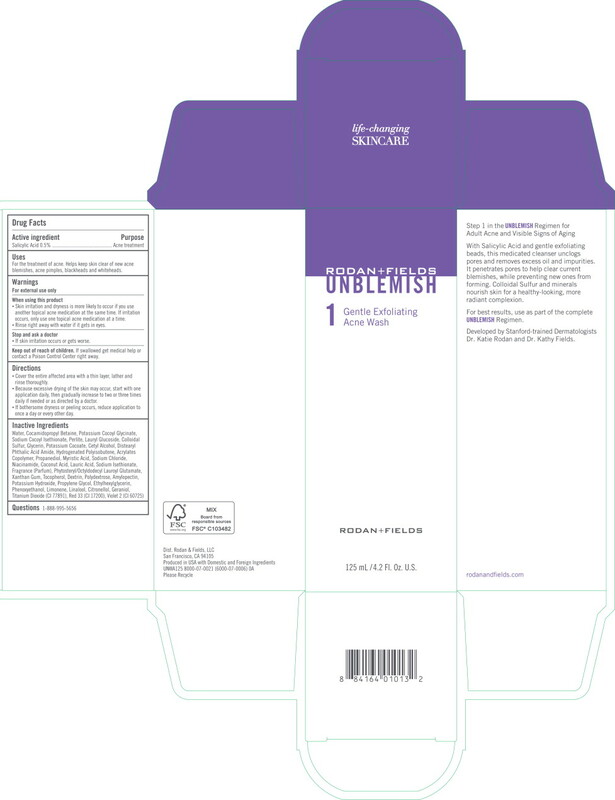 Proprietary Name: Unblemish Gentle Exfoliating Acne Wash What is the Proprietary Name? 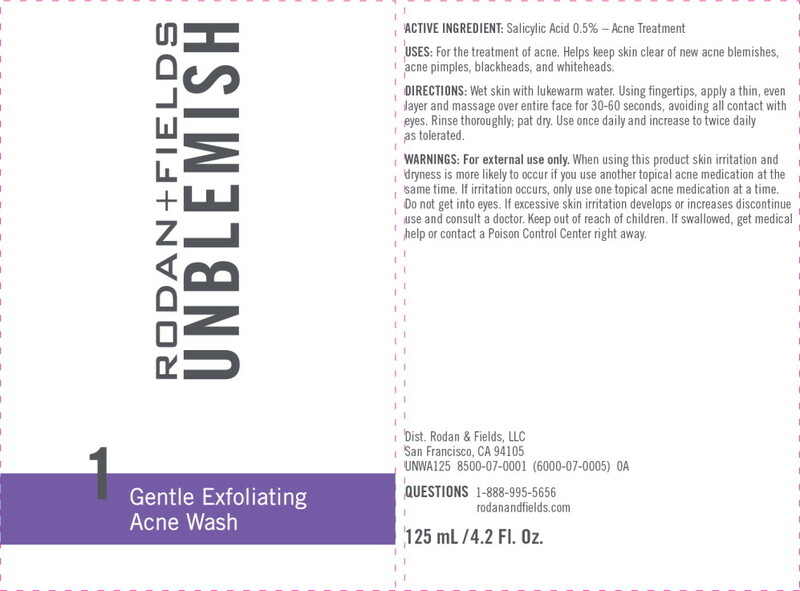 Unblemish Gentle Exfoliating Acne Wash with NDC 14222-2110 is a a human over the counter drug product labeled by Rodan & Fields. The generic name of Unblemish Gentle Exfoliating Acne Wash is salicylic acid. The product's dosage form is cream and is administered via topical form. Stop and ask a doctorIf skin irritation occurs or gets worse. Cover the entire affected area with a thin layer, lather and rinse thoroughly.